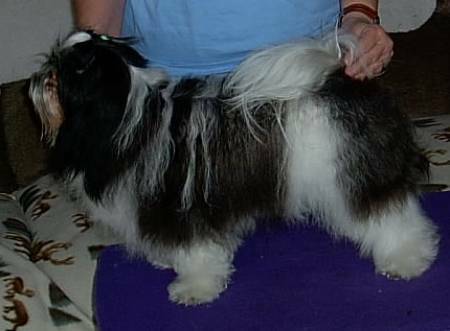 OREO SAMBAS TO A JOYFULNOISE - "OREO"
ALL HEALTH TESTING COMPLETED & NORMAL. CERF,BAER,PATELLAS,HEART, HIP & ELBOW X-RAYS, GOOD. PAIRED BILE ACIDS & THYROID BLOODWORK NORMAL.